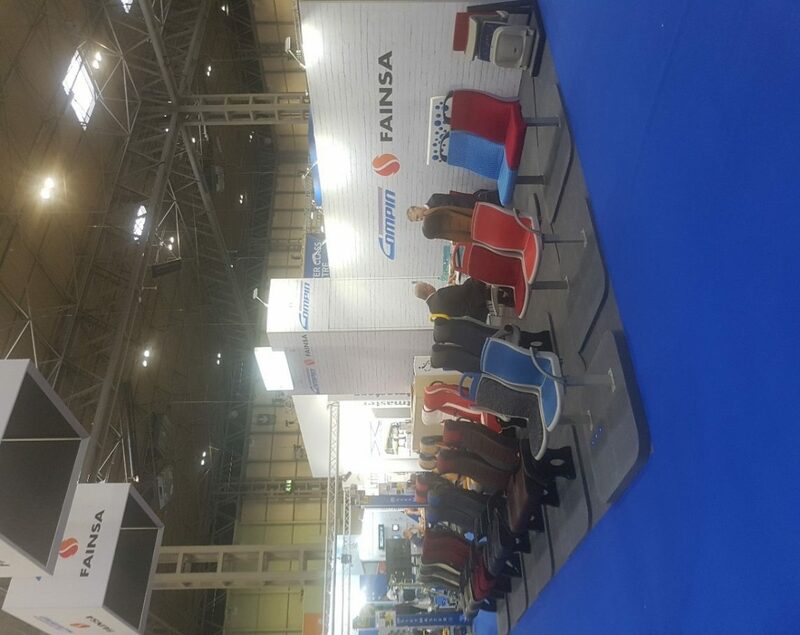 From 30th October to 1st November, 9,000 visitors from 50 countries made the trip to Eurobus UK this year. 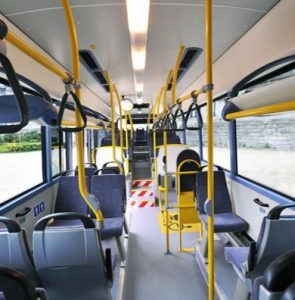 Eurobus UK is a bi-annual event and has steadily grown in importance over the last years. Eurobus is predominately a local exhibition that specifically targets the coach and bus operators. 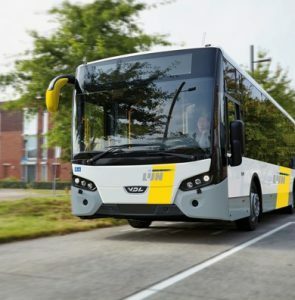 Eurobus displays €25M worth of coaches, over 3 days for potential customer to look, touch and try out. 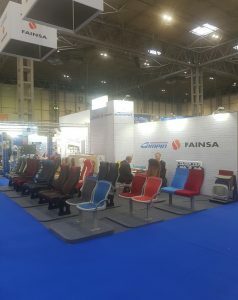 COMPIN FAINSA took the opportunity to present our growing range of Coach products, from high luxury to entry level markets. The stand was fully loaded with over 14 different products that included some new, competitive seats for the suburban and coach market. 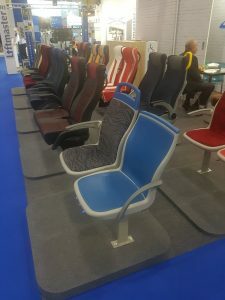 Not only this, the stand included a new bus seat called “Urbanity” that has already led to some great interest in new markets and new customers. 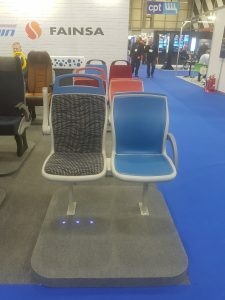 But creating the most interest on the stand, and, the “star of the show” was the Urbanity seat with a heated pad system. Many operators and builders viewed this innovation with a huge interest and the sales team is following up these “hot” leads! This is a very important success and a clear evidence of the level of confidence from the most demanding customers. 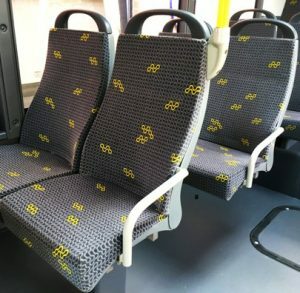 Our quality and service does count. 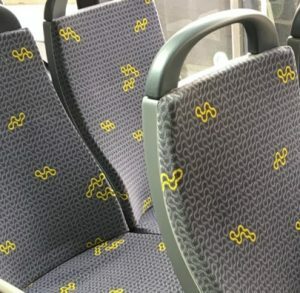 More than 200,000 seats produced for the European market.